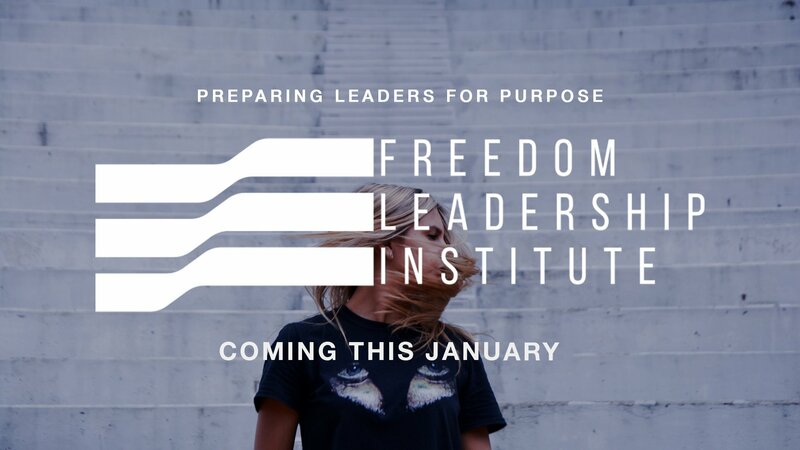 Freedom leadership institute exists to equip the next generation for more than a career path. FLI is a leadership development program designed to empower and instruct young adults who are passionate about following Jesus and making a difference in their community. Students are immersed in three pools of learning: hands-on training, curricular studies, and personal discipleship. They will be participating in weekly classes at the Freedom Center focusing on leadership development, spiritual growth, & their skills as a communicator of the Gospel taught by Freedom Church pastors & staff. It is mandatory that interns be available and present at all of our meeting times during the week. Once I have submitted my FLI application, what happens next? After we have reviewed your application, we will prayerfully consider if our internship is a good fit for you in this season! You should receive a response from us within 3-5 days with steps moving forward to apply for your Life Pacific College classes. You will need to fill out the LPC application steps which include 3 steps in total. After that is submitted, we will need your $200.00 non-refundable deposit to secure your spot in FLI. Do I need to be currently attending Freedom Church to apply? No, you do not need to currently attending Freedom Church. But, we would like to know that you have been rooted in another church for at least 3-6 months prior to applying for FLI. How old do I need to be to apply for FLI? We accept all applicants between the ages of 18-26 years old. Our internship runs for 10 weeks at a time. We believe that interns should spend at least 2 semesters with us. Do I need to be baptized before I become an intern? No, but we believe this is an important step in your faith journey! We would love to see this be a part of your experience as a Freedom intern. Is there any opportunity for financial aid or scholarship? We currently do not have any financial aid or scholarships available but we highly encourage all of our FLI students to fundraise or having friends and family support them financially. We believe that if God is calling you to FLI, he will provide a way for you attend! This may be a season that God is calling you into to trust him in a way that you never have before to provide. What supplies will I need to complete my coursework? You will need your course textbooks which are included in your tuition, a Bible, and access to a computer. You do not need to bring a laptop to our weekly meetings but it is encouraged to bring if available to you. What if something comes up mid-semester and I cannot complete my FLI Semester? We understand that sometimes life circumstances can inhibit our interns from completing the program. It is our desire to see if there’s anything that can be done so that you stay in our program. Interns are allowed up to 3 absences during the semester. If you choose to exit our program, your FULL payment will still be required to be paid. Didn’t catch your question being answered here? Shoot an email to our intern director, JJ Orantes at JJ@freedom.church with your question!